Columbus is home to over 700,000 people and has the world’s largest private research and development foundation, the world’s largest clearinghouse of chemical information and the nation’s largest university campus, The Ohio State University. The city offers such a wide variety of effective advertising opportunities by having such a large college and young professional population as well as having several Fortune 500 headquarters located within the city. The Ohio State University offers nearly 60,000 young consumers creating a very large market for out-of-home advertisements. Additionally, the public transportation also allows for outdoor advertising and bus advertising. 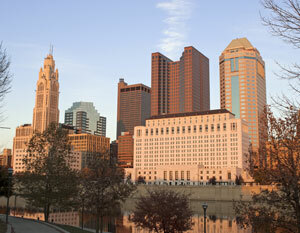 The major highways servicing Columbus can also be used to target your audience. Billboards on I-270, Interstate 315, or I-70 would yield high traffic exposure of your business. Zip Codes: 43085, 43201, 43202, 43203, 43204, 43205, 43206, 43207, 43209, 43210, 43211, 43212, 43213, 43214, 43215, 43216, 43217, 43218, 43219, 43220, 43221, 43222, 43223, 43224, 43226, 43227, 43228, 43229, 43230, 43231, 43232, 43234, 43235, 43236, 43240, 43251, 43260, 43265, 43266, 43268, 43270, 43271, 43272, 43279, 43284, 43287, 43291, 43299.